The must-haves for seaside style are faded woods, ropes and shades of white and blue. This year, Maisons du Monde has once again added plenty of natural fibres to this collection, keeping it very on trend. All aboard! The seaside style is synonymous with natural materials. 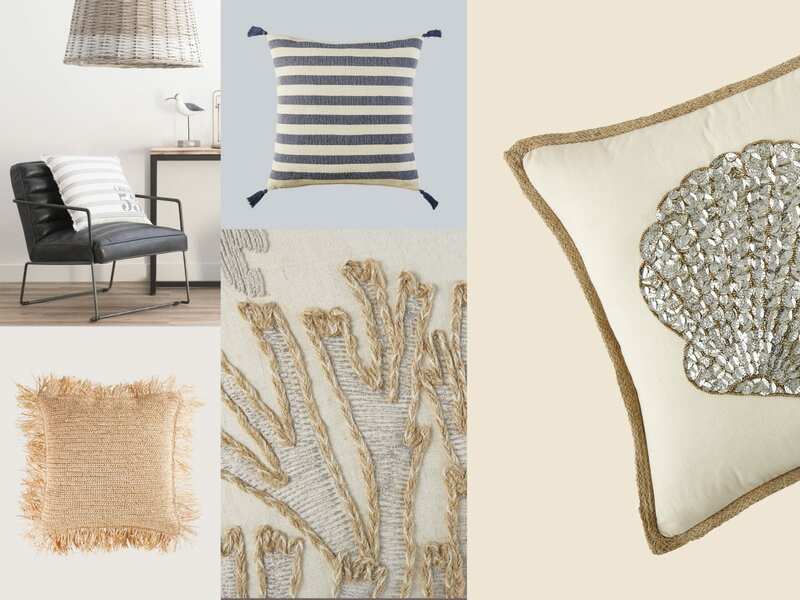 They make your home feel fresh and authentic; a striking rattan armchair, a woven pouffe, a braided light pendant or a large mirror made of driftwood and your home will be transformed in to a beach getaway. For wood, the salty see air acts as a natural patina. Our stylists have explored this unique process to create incredibly charming furniture with a mixture of limewashed wood, distressed effects, driftwood and also recycled wood.